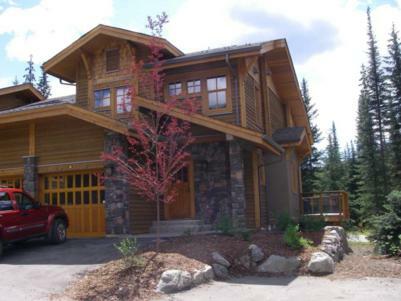 Sun Peaks Resort in British Columbia, Canada continues to attract people from all over the world. 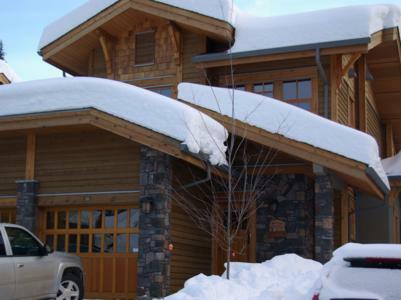 The resort has 3,678 skiable acres on 3 mountains. There are 122 runs including 12 gladed areas. Each mountain has all levels of skiing from the double black diamonds to green. Most runs bring skiers back to the main village where there is a great assortment of restaurants, shops and lodges for guests to explore. The resort has a shuttle service that operates on weekends and peak holiday periods which takes guests from the various accommodation sites into the main village. 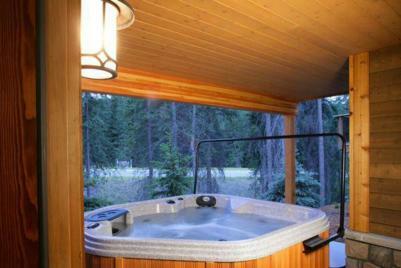 The resort is located 45 minutes north of Kamloops BC. In the summer months the mountain has an 18 hole golf course and world class mountain biking trails making Sun Peaks a four season resort. Woodhaven Townhouse is located in the East Village. 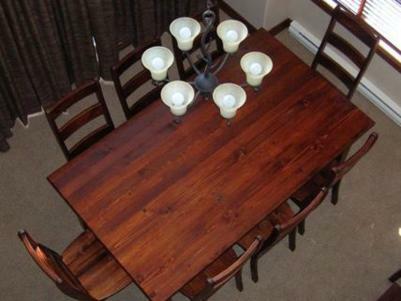 The builder, Dansk, is known for their outstanding designs and quality workmanship. 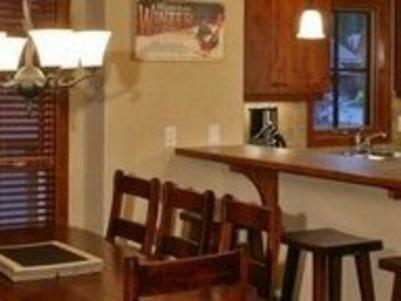 We are pleased to offer our luxury home for your ski/golf vacation. 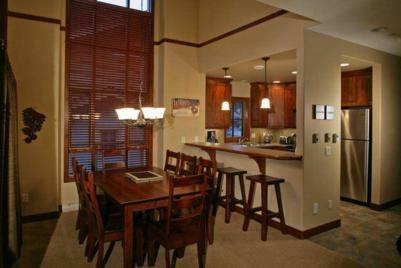 The home is a town home with one parking spot in the heated garage and one available in the drive way. The front door brings you into the main living area of the home. 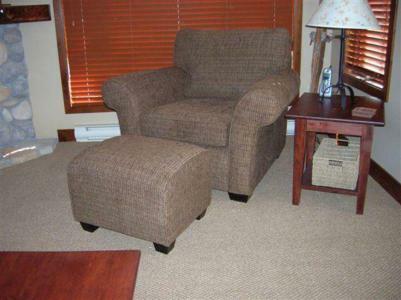 There is a 2 piece washroom, full service kitchen, living room and dining room. The ceramic floors are heated for your comfort. 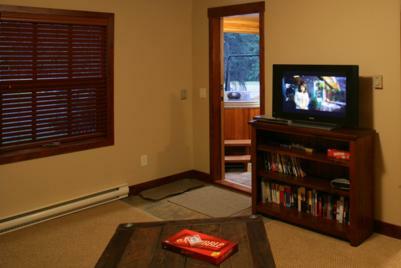 The living room has a gas fireplace and the dining room has two storey windows allowing in lots of natural light. 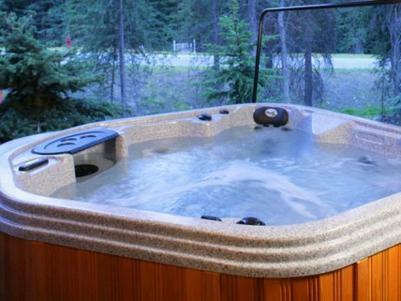 On the lower level you have access to the full sized laundry, a bedroom with single over double bunk bed, family room and door leading to the six person hot tub. The bedroom on this level is great for teens that enjoy staying up late and sleeping in! On the second level are the three bedrooms. 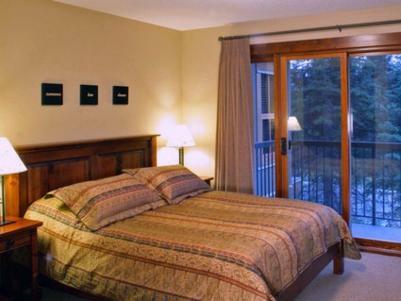 The master bedroom has an ensuite bath with double shower, queen sized bed and balcony. 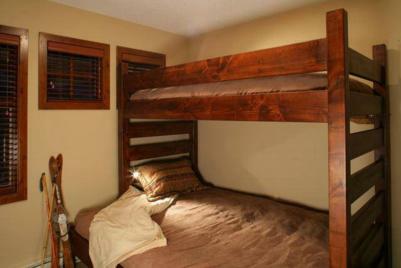 The second bedroom has a single over queen bunk and the third bedroom has a queen sized bed. There is also a full sized bathroom in the main hall. 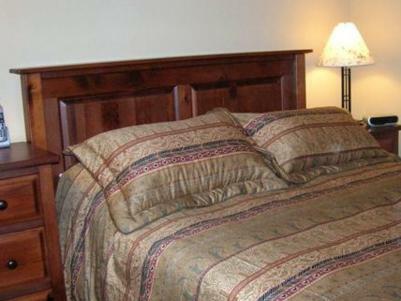 Our home offers sleeping space for ten people. The garage is heated with lots of room for storage of ski and/or golf equipment. We have outfitted the garage with a bench, shelve, ski racks, mitt racks and helmet holders. 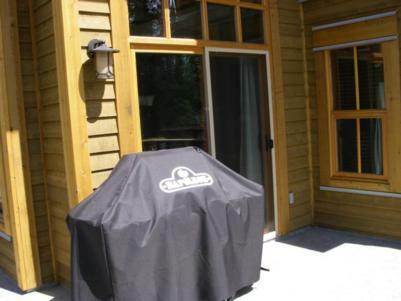 On the main level there is a large deck with a gas grill. In summer months a patio set is available for guest's enjoyment. In the winter the resort offers a variety of winter activities including skiing, snow boarding, ski biking, tobogganing, Nordic skiing, snow shoeing and skating. There is a recreation centre with an outdoor pool which is open in both summer and winter months. There is a market in Sun Peaks so if you forget something you can usually find it without having to return to Kamloops BC. In summer months the golf course is available for you to play a round or two. 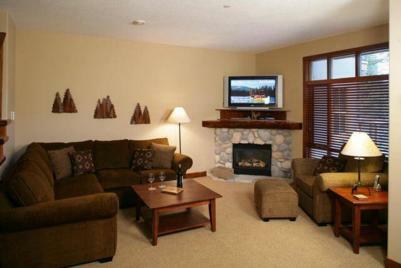 The resort offers numerous hiking trails, world class mountain biking and there is horseback riding available. 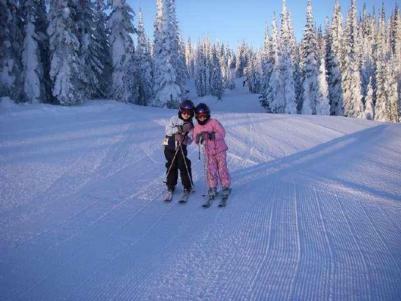 Sun Peaks Resort is a family resort offering something for everyone throughout the year.